What is California Black Jade? Found throughout the state, California black jade is a variety of black nephrite jade. Sometimes known as ink jade, the selection from Shop LC may also be known as Boots black jade. Named for its prospector, Howard Boots, the original location of this supply is a closely guarded secret. Only three people ever knew the location, and two of them have taken this knowledge to the grave. Today, only Howard’s widow, Shirley, knows the secret of Boots black jade. Is California black jade valuable? 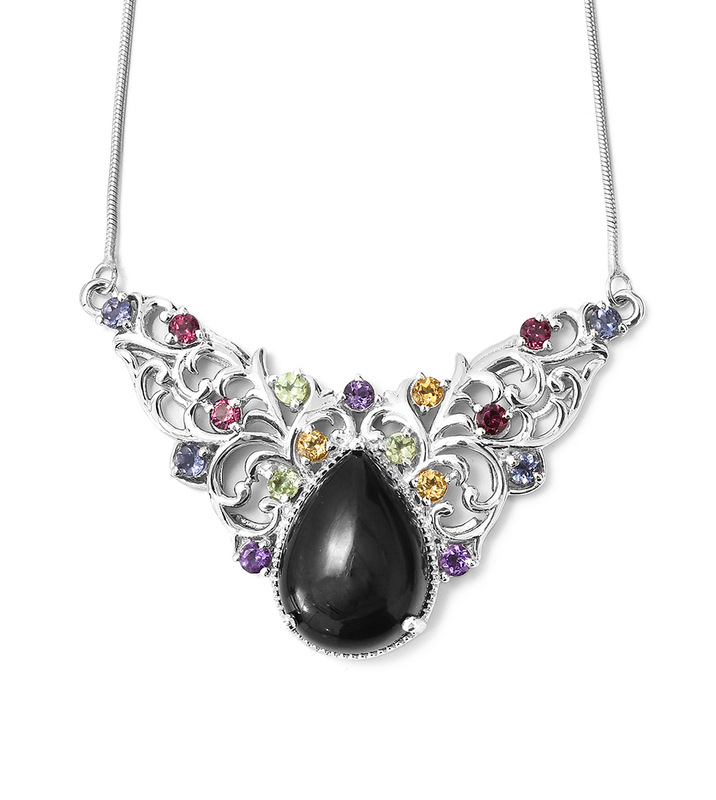 The value of colored stones is typically determined by a combination of its color, clarity, cut, and carat weight. This is no different when determining what black jade is worth. These guidelines will help you choose jade stones for your collection. Ideal black nephrite jade displays a black or nearly black color. Microscopic inclusions of dark material like graphite give this stone its dark color. Occasionally, hints of gray or green may be present, but this is uncommon and not usually desired. The best California black jade appears to drink in surrounding light, only leaving behind its deep and mysterious black color. As a primarily opaque stone, black nephrite jade won’t show visible internal inclusions. Since the material is so abundant, finished jade pieces should be smooth when polished, without any surface blemish. Jade with a damaged surface will have its value significantly reduced. After polishing, black jade displays a bright and glassy luster. An opaque stone, nephrite jade is most frequently shaped into cabochons and beads. Thanks to its durability, black jade is also frequently carved into ornamental figures. Nephrite from California frequently occurs in large boulders, with some weighing up to 1000 pounds. This means that black jade can be commonly found in a variety of sizes. Due to its availability, there is not a significant increase in price as stones become larger. 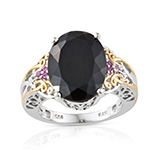 Frequently, gemstones undergo additional enhancements to increase their beauty or durability. These treatments are common and accepted within the gemstone trade. California black jade undergoes no further known treatment. It is an entirely natural stone. Ranking 6 to 6.5 on the Mohs scale, black nephrite is a reasonably hard stone. However, when you pair this with its exceptional toughness, then you have the most durable stone currently known. But what does this mean? Diamond is undoubtedly harder than nephrite jade. Diamond ranks ten on the Mohs scale. However, the unique structure of nephrite jade means it is much more resistant to chipping and breaks than a diamond. It’s interwoven fibrous formation creates a gem structure that takes active effort to destroy. The best way to care for most gemstones is standard gem care. Black jade is no exception. Using a simple solution of warm water and mild dishwashing soap, scrub your stone with a soft bristled brush. Once thoroughly scrubbed, rinse the stone in fresh and clean water. Dry with a soft, lint-free cloth and you’re done! You only need to clean black jade when it looks dirty. Normal heat won’t affect your jade stone, but the heat from a jeweler’s torch can damage it. Light will not cause color to fade. As with most gems, it’s best to avoid exposure to any chemical, such as everyday household cleaners. Even though nephrite is an extremely durable gemstone, care should still be exercised when storing it. The best way to store gemstone jewelry is by placing it in a lined jewelry box. Alternately, it can be wrapped in a soft cloth when not worn. Following these steps will ensure appreciation of your jewelry for years to come! 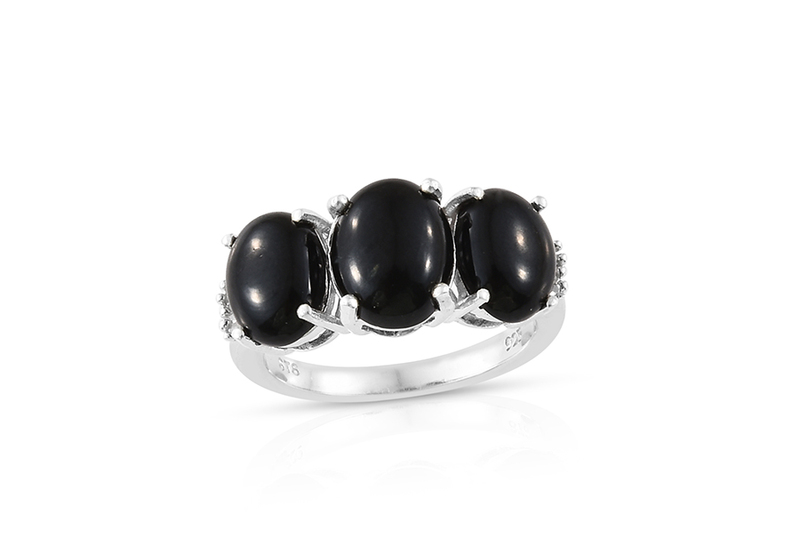 Who Can Wear Black Jade? 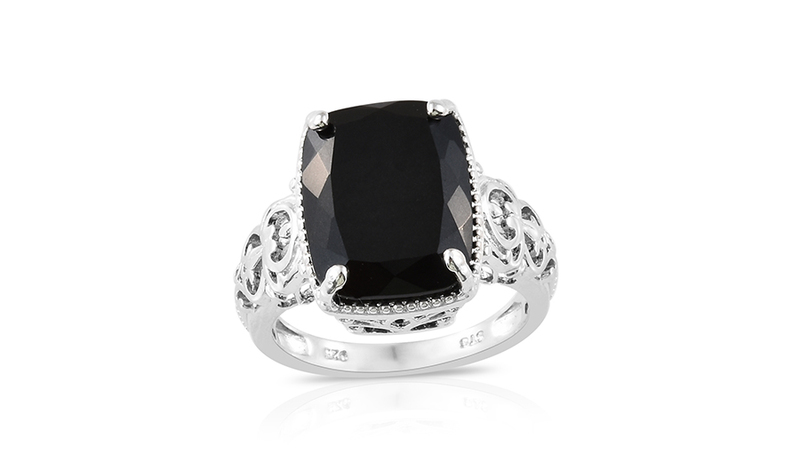 Black is an iconic color that epitomizes style and class. Looking good on anyone, black is a neutral that everyone ones. 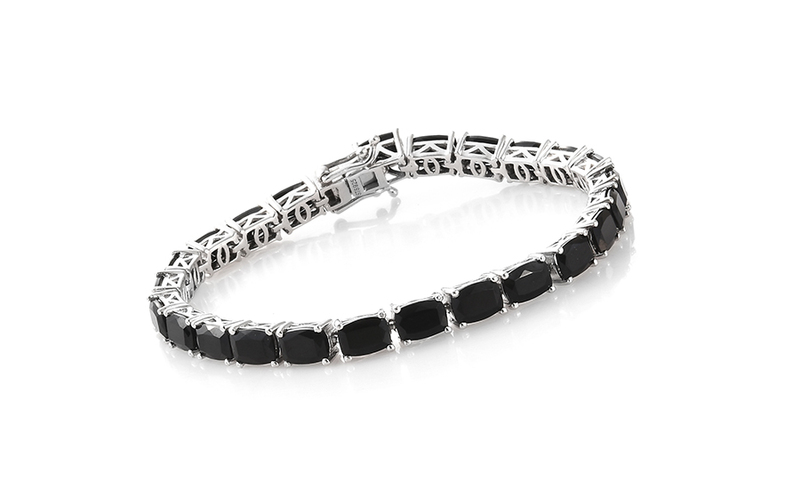 Black jade jewelry is the perfect selection for whenever a sophisticated gemstone is needed, no matter the occasion. As the universal neutral, you can pair it easily with nearly any color. Jade jewelry is especially famous for large and bold pieces, and its durability makes it ideal for carving into unique shapes you don’t typically see with other stones. How Does Black Jade Compare to Other Black Stones? Black jade holds its own against other popular opaque black stones from Shop LC, such as Thai black spinel and shungite. 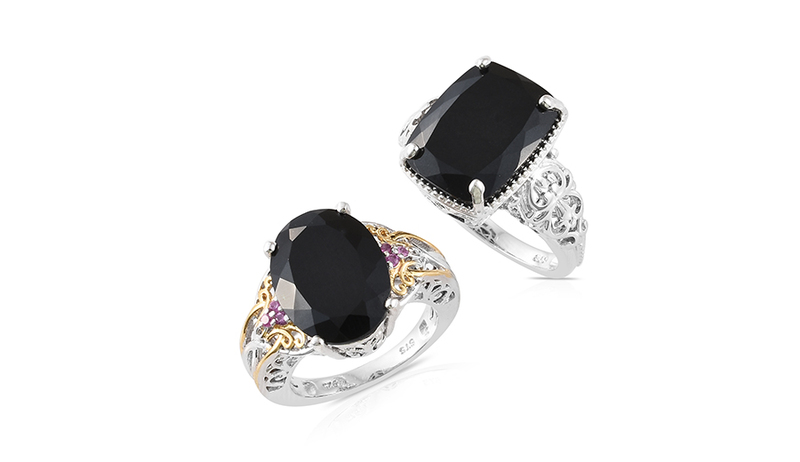 It stands apart from these other gems with its glossy finish, shungite favors a matte luster while black spinel leans toward an adamantine one. Where Does Black Jade Come From? Did you know that jade occurs throughout California? Anecdotes and lore suggest that Chinese immigrants were mining and collecting jade as early as the 19th century to ship back to China. However, most expert sources agree that jade rushes in California truly began during the 1940s. Jade is closely related to serpentine, and the stones are frequently found in the same areas. Large-scale operations rarely can sustain themselves, as many locations quickly become exhausted, or too expensive to maintain. Despite this, California continues to remain a significant producer of jade; especially black nephrite jade. Within California, significant deposits of jade are found in San Benito, Mendocino, Mariposa, Tulare, Marin, and Siskiyou Counties. What Does Black Jade Mean? For centuries, crystal healers and gem therapists have valued nephrite jade for its curative properties. The stone is used to treat bladder infections, kidney stones, and incontinence. In fact, the stones name has its roots in the Greek nephros which refers to the kidney. It was among the Greeks that the stone’s powers over the kidney were first popularized. Additionally, nephrite is believed to increase creativity and relax its owner. Over time, owning a nephrite stone is thought to bring inner peace. 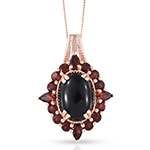 Is Black Jade a Birthstone? Jade is not a modern US birthstone. Black jade does not lend itself well to being an alternate birthstone, but some may prefer black jade over black tourmaline or black spinel for its greater durability. Black jade ranks from 6 to 6.5 on the Mohs scale of hardness. Our supply of black nephrite jade comes from a secret cache in California. This stone undergoes no additional treatment. 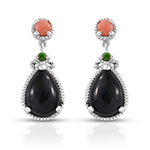 California black jade may also be known as black nephrite, ink jade, or Boots black jade.